Is this the New EyeCon App from the Droid X? 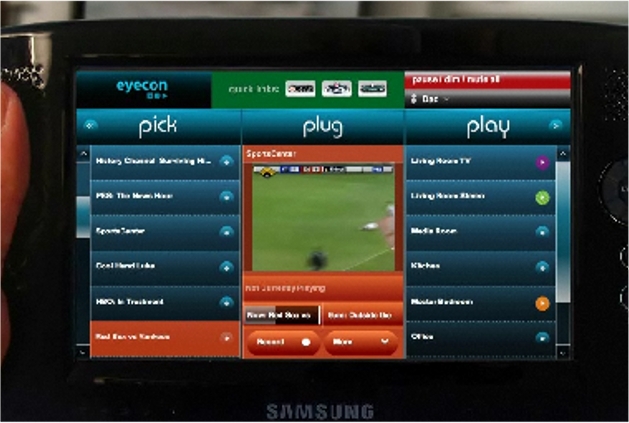 In one of the new Droid X commercials just leaked by DL, we were introduced to a new multimedia app called EyeCon which sounded as if it could give you full control to every media device in your house. It also had us drooling. So what exactly is EyeCon? We just received this EyeCon site from a reader which looks to be the exact software mentioned in that commercial spot. I recommend that you take a few minutes to browse through some of their video overviews and you’ll immediately see how amazing this app would be on a 4.3″ Droid X display. You’ll also notice the “Android coming soon!” note in the top right corner. Update: The EyeconTroller app is actually available in the market right now. Grab it for free from this link. After that, head over to this link to register.